In the spirit of giving and not receiving–sort of–the husband and I decided this year we would not spent the money buying gifts for ourselves, each other, or nearly anyone else. The holiday shopping season is out of control. We want no part of it. We all have way too much. We are blessed, certainly, but still have too much. A lack of appreciation for past gifts. Instead, we continued our holiday tradition of buying gifts for children in need. In the past, we have selected children from the Salvation Army Angel Tree. This year, we had two children selected for us as part of the Winter Wishes program organized by New York Cares. Two-year-old Chrystal asked for books; eight-year-old Destiny asked for a Baby Alive doll. They both got their wishes and a little more, too. And because there was a deadline for mailing, our Christmas shopping for these girls was finished by December 1. We also felt humbled to be able to send money to Ghana for the second year in a row, where a little boy named Emmanuel will receive a Christmas gift he otherwise wouldn’t get. I don’t miss the hustle and bustle or the frenzied shopping or the dwindling bank account of years past. It’s so nice to know that our holiday will be merry without all of that. Happy holidays! I had an amazing and humbling opportunity recently to interview Toby Tanser. Runners will recognize the name, but if you aren’t a runner perhaps you haven’t heard of him. Toby is a former elite runner (sub 2:20 marathoner) who has competed all over the world. Currently, he is on the board of directors of the New York Road Runners (my running club) and Achilles International; he is head coach of the New York Flyers; running coach at the Fashion Institute of Technology; the author of three books: Train Hard Win Easy the Kenyan Way, The Essential Guide to Running the NYC Marathon and More Fire: How to Run the Kenyan Way. But that’s not all! Toby won a humanitarian award in 2008 for his efforts to bring shoes, health and peace to Africa. Toby is the founder of Shoe4Africa, which has provided tens of thousands of shoes to children and adults in Kenya. Shoes are important because they keep the feet healthy–they prevent cuts, infections and hookworms from invading the body. 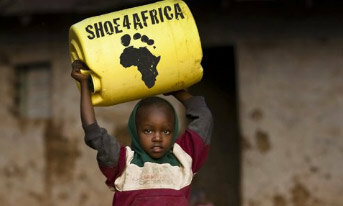 How Shoe4Africa works is that runners (or anyone else) send their used running shoes to Kenya. 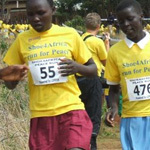 Toby organizes races in Kenya and participants earn a pair of shoes by racing. In addition to providing shoes, Toby has worked tirelessly to promote HIV testing, the empowerment of women, and peace among the tribes in Kenya. He is now embarking on his biggest project ever and you can help! Toby is raising $15 million to build the largest children’s hospital in Africa in Eldoret, Kenya. Every bit helps, even a $10 donation is appreciated! As you’re making your end-of-year donations and thinking of ways to give to others, consider making a donation to Shoe4Africa. In a country ravaged by violence and lack of healthcare, you could literally help save the life of a child. 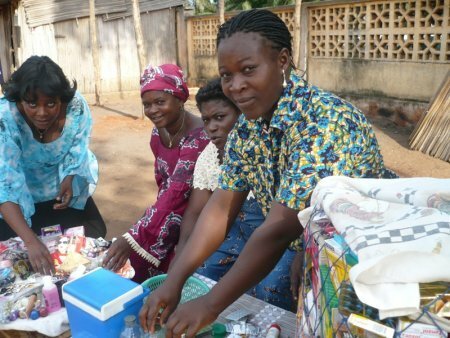 It’s the first day of the month and I have just made my monthly loan to an entrepreneur at kiva.org. I have eight loans in repayment at the moment; in the past year I have loaned money to people in Nigeria, Togo, Mexico, Sierra Leone, Peru, Uganda, Dominican Republic and Kenya. This is a way of helping people in developing countries expand their businesses–and sometimes their homes–and improve their lives. It’s not a hand out, it’s a hand up. 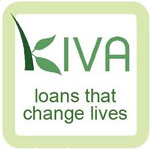 I would like to encourage everyone to consider lending through Kiva. It’s so easy to help someone have a better life!